Dodd takes a sliver from the life of expressionist painter Oskar Kokoschka (1886–1980) and creates an odd, claustrophobic fictionalized biography. Wounded and shell-shocked after WWI, Oskar takes a teaching position at the Dresden Academy and residence with the local art museum’s director. The gentlemanly Herr Posse hopes that a calming routine and a steady diet of his young housekeeper Hulda's hearty cooking will restore Oskar to health and painting. It’s not war that has driven the artist to the brink of madness, it’s Alma Mahler’s marriage to Walter Gropius. Oskar was Alma’s lover before the war; in fact, he enlisted to impress her. 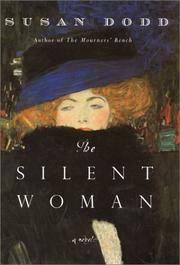 Now abandoned by the notorious Viennese beauty, Oskar becomes fanatically attached to her memory and obsessed with the idea of a “silent woman.” He commissions a dollmaker to create a life-sized replica of his Alma—only quieter, kinder, and more pliant. Then he enlists Herr Posse's housekeeper, whom he’s casually renamed Reserl, to serve as lady's maid to his big doll. They pretend “Madame” is alive, serving her dinner, styling her hair, dressing her for bed. The heartache behind this absurd behavior is obvious to Reserl, the true silent woman, who is secretly in love with the tortured Oskar and willing to debase herself to win his favor. She falls under the full brunt of Madame's demanding requests and suffers with the knowledge that Oskar’s eyes always look a few inches past her, even when she is sharing his bed. The art teacher who tells his students that they must really see is himself blind to reality. Dodd has intriguing material here (there was in fact an Alma doll, first mentioned in a 1986 Kokoschka biography), and she creates a restrained portrait of obsession, Oskar's and Reserl’s. But restraint seems a poor tool with which to explore passion. Splendid images and prose, but too much is left unsaid, leaving a splintered story at the core.